Instagram is amongst the most popular photo sharing apps. However, like every other app, Instagram takes up a lot of space on your iPhone/iPad as the app causes caches and other unnecessary files. Having these files may not only slow down your iPhone/iPad, but also threaten your security. The first thing that most hackers target in order to infiltrate a system, are the cache and temporary files stored in one’s system. In order to protect oneself from such dangers, it is highly recommended to keep cleaning your iPhone from caches developed due to the use of Instagram. So here is a list of the top 3 cleaners that you can use to clean up Instagram caches and hence save space along with protecting your privacy. 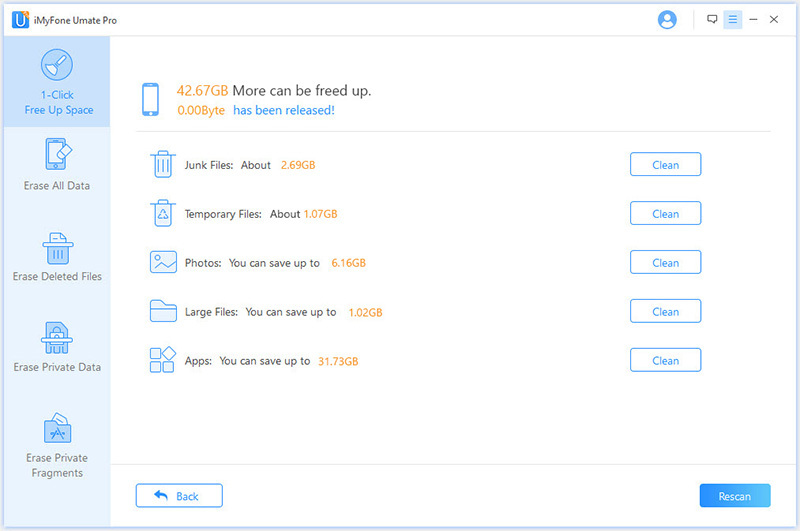 iMyFone Umate Pro or iMyFone Umate Pro for Mac is an incredibly innovative app that allows you to take care of anything related to data cleanup and performance improvement on iPhone/iPad. 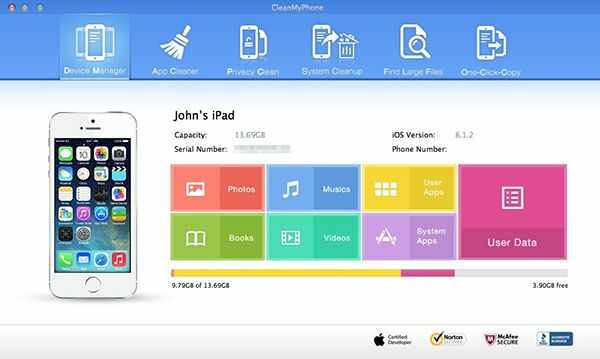 Primarily, it has 5 cleaning modes to fulfill the various needs of iPhone users who are frustrated with a lot of unwanted data files. As far as deleting Instagram caches is concerned, the one-click cleanup lets you cleanup all hidden cache files and temporary files in just a single click. Not only this, but you can also erase Instagram fragments in a jiffy. Phone clean is an easy-to-use utilitarian app that allows you to efficiently delete files such as cookies, caches etc. The app comes with a user friendly interface that can be used with ease. It is a simple app that removes such unwanted files effectively. It can be used to clean up your phone on a daily basis and as such, keep your phone safe and sound. Easily remove corrupted and temporary files with this handy tool that is designed specifically to let you increase your phone’s storage space in a jiffy. With a unique and highly futuristic user interface, CleanMyPhone gives you all the luxuries of a compact phone cleaning app that can be your everyday companion no matter wherever you go. Now that you know about the top 3 iPhone cleaners, you must be wondering as to which one to use for cleaning up Instagram. 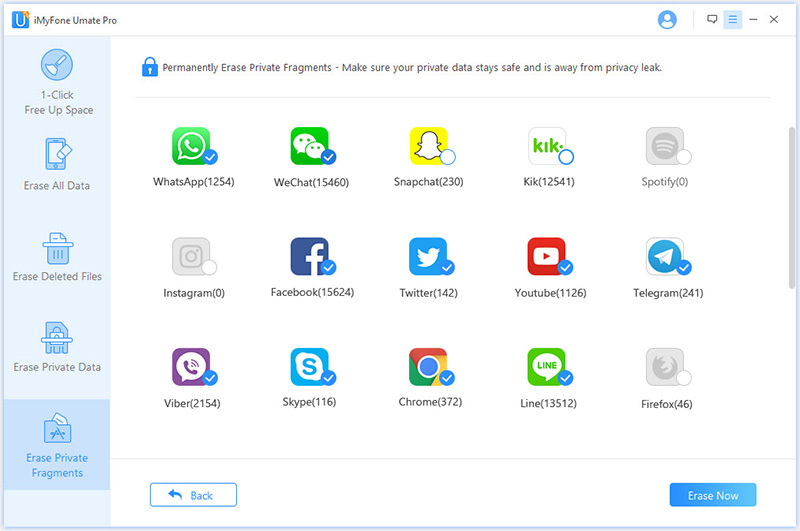 Well, although all of the apps can be helpful in erasing unnecessary files, iMyFone Umate Pro, however, provides you with a complete end-to-end solution. This is because it not only lets you delete iPhone caches and cookies generated from apps such as Instagram, but it also lets you do other things such as completely wiping your iPhone if you want to restore your phone to its original settings. Similarly, the app allows you to preview the files you want to delete and hence lets you selectively remove the files that you do not want. Step 1: Launch iMyFone Umate Pro and connect your device to the computer. Step 3: Once scanned, you can remove unwanted data such as App Cache by clicking the “Clean” button on the right.